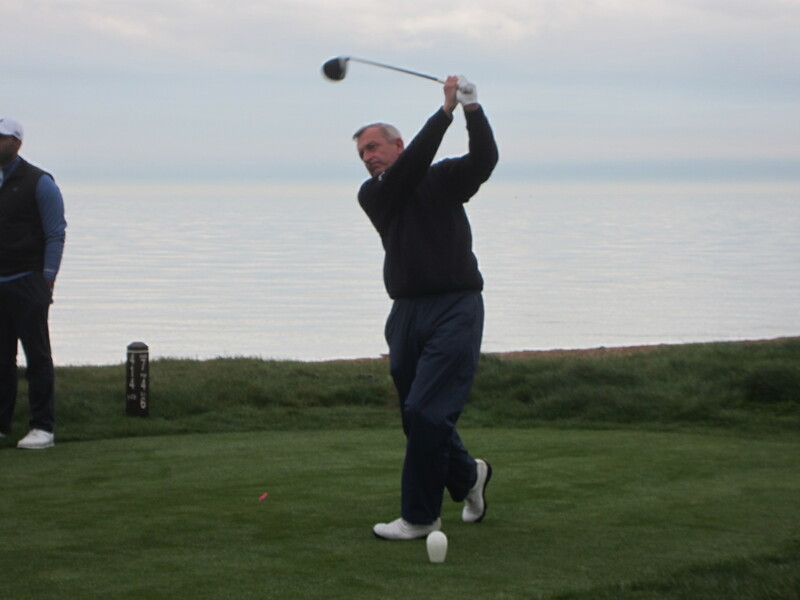 10.30: Bus departs Royal St George's for Finglesham. Richard Pinder B&B 10th B.D. John Butler B&B 9th & 10th B.D. John Ballinger B&B 10th B.D. Adrian Pepper B&B 10th B.D. Nick Davidson B&B 10th B.D. John Bolsover B&B 10th B.D. Gordon West B&B 10th B.D. 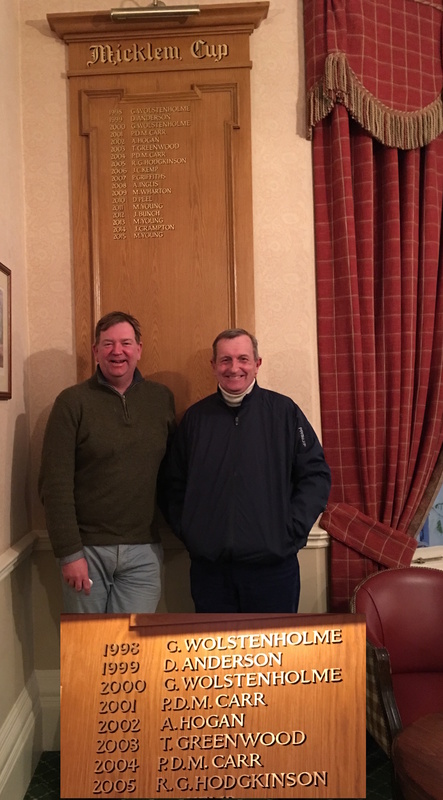 This year the new team skipper, Martin Priestley C81 had the luxury of a squad with a combined handicap of 13 and as he appointed himself non-playing skipper, the added bonus of a 3 handicap reserve player. On Thursday, the first round against Forest turned out to be much tougher than anticipated; Repton eventually won 3-2 but not without the combined experience of Philip Carr H72 and new-boy Cameron Shaw S07 digging deep to come back from three down with four to play to secure a win on the eighteenth. 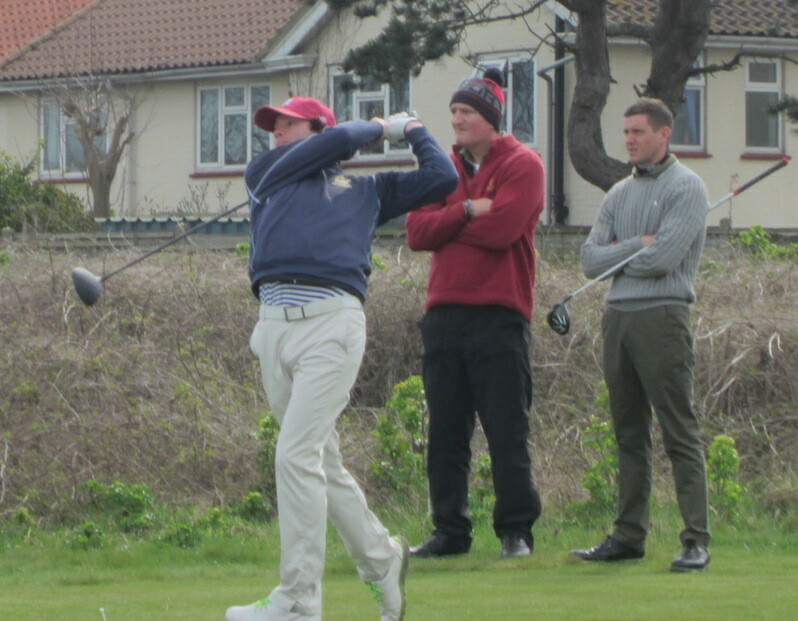 Cameron was playing in his first Hewitt, having recently returned from university in the USA with a handicap of plus 3. 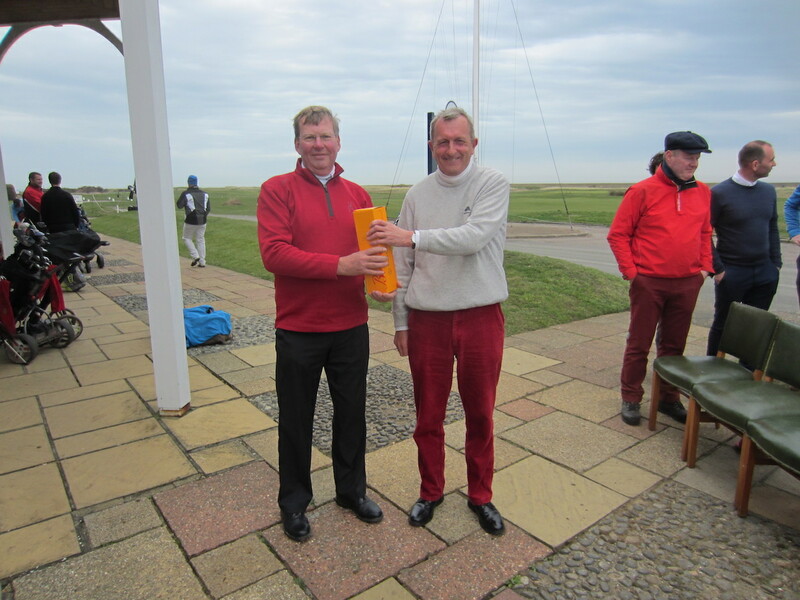 He lived up to expectation from day one and he and Philip had a run in the middle of the competition of 35 holes without a bogey! 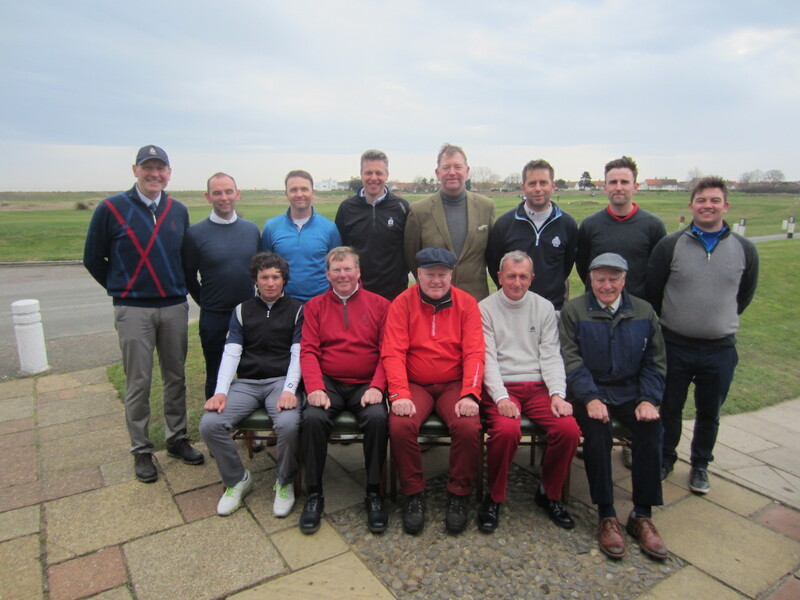 On Friday in round two, another tussle with Haileybury left Repton with it all to do as they turned back into a three-club wind for the last seven holes at Royal Cinque Ports. A second gutsy performance secured a 3.5 - 1.5 win and a place in the last 16. 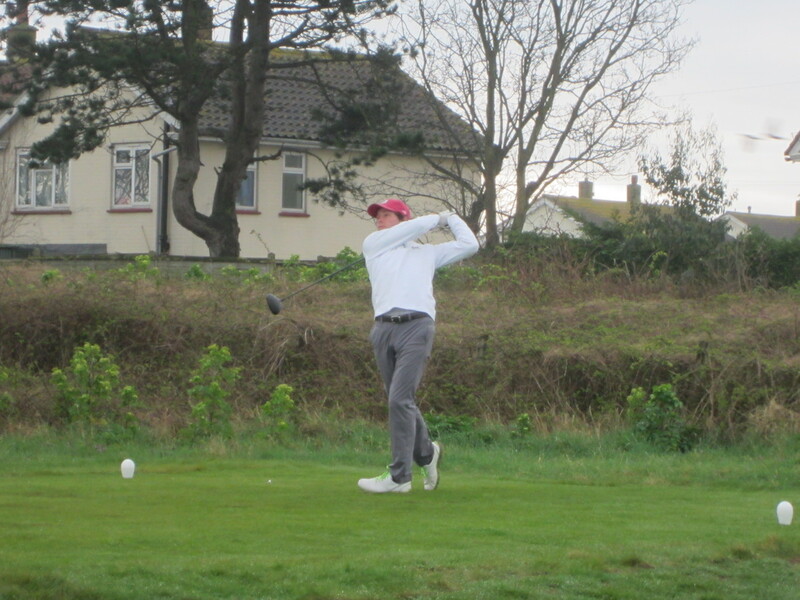 On Saturday morning morning Repton faced Fettes, a Scottish school with a gritty golfing reputation that they did not live up to, allowing Repton a routine 4-1 victory with most pairs carding a win out in the country. In the quarter final on Saturday afternoon, Repton played some formidable opposition in Bradfield. 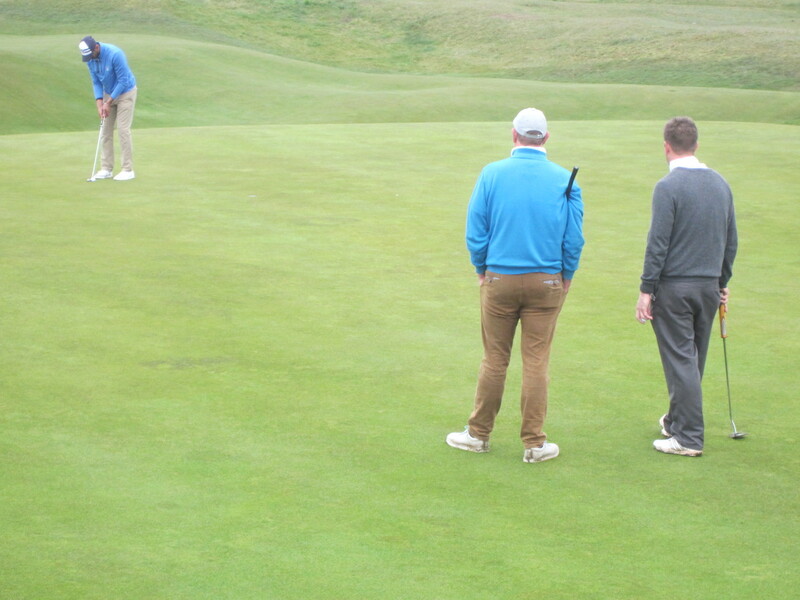 With two pairs having won and two pairs lost it was all down to Holdsworth and Wilson who were all square on the 18th. 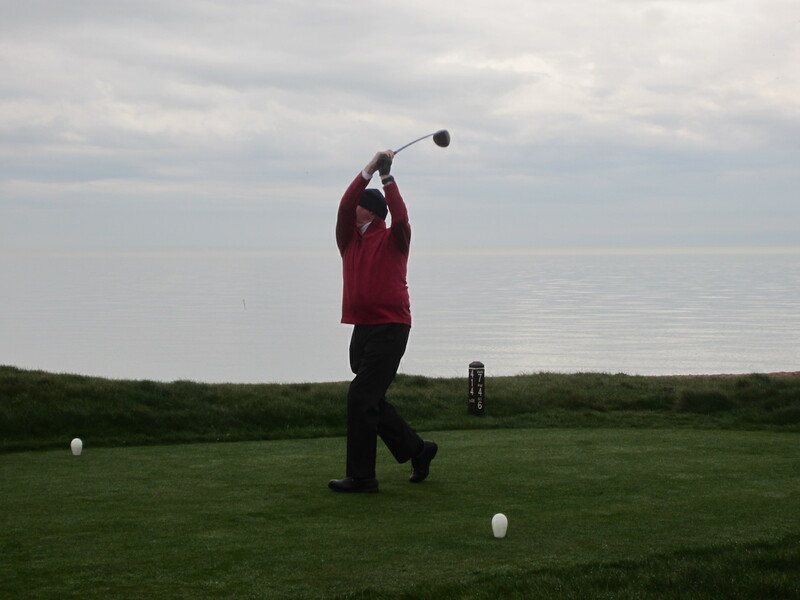 Holdsworth’s drive was down the middle. 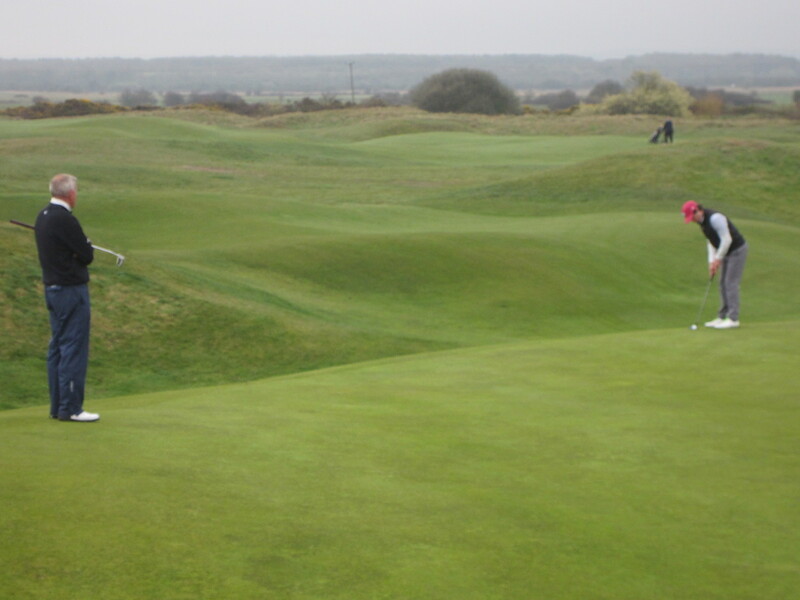 Bradfield played their approach shot first, but desperate to hold the shot into that persistent three-club wind they pulled it left into the deep rough left of the green. Cometh the hour, cometh the man and that man was Jimmy Wilson, who struck one of the sweetest shots with a 2-iron I have ever seen, into the heart of the green. 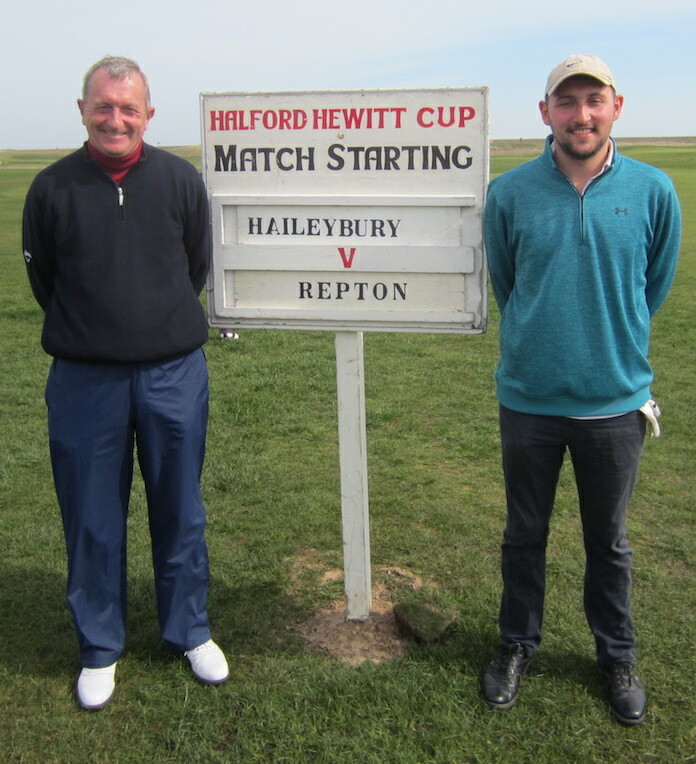 Bradfield played a remarkable shot out of the hay, onto the green and made a five but Repton’s two puts for a four guaranteed a semi final place on Sunday morning for the first time in 32 years. On Saturday night the influence of the new skipper and the sensibility of the team saw them all soberly tucked up in bed by 11pm. Sadly the semi-final on Sunday morning was played against a rejuvenated side from Winchester, whose newly found youngsters were beset with talent. 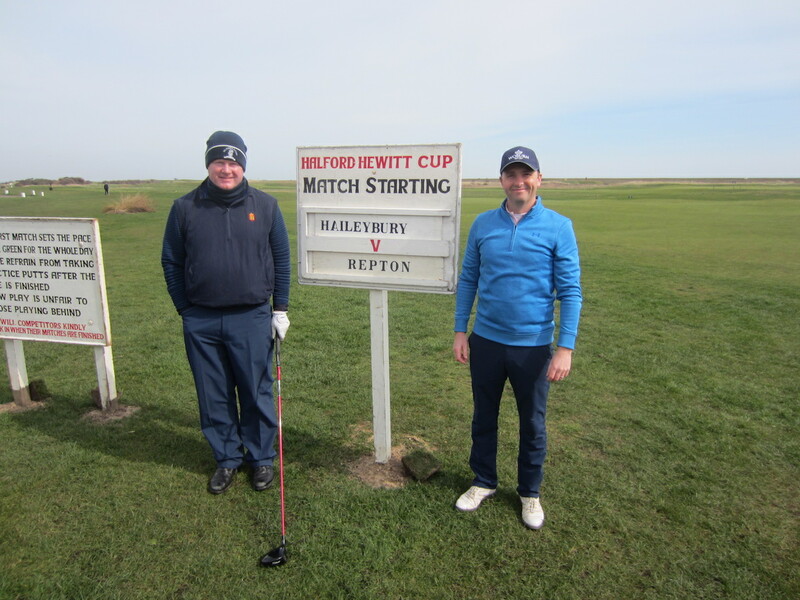 Repton put up a gutsy performance but the wind was becalmed and Westminster prevailed 3.5-1.5; they also went on to become the winners as they dispatched last years finalists Ampleforth 4-1, in the final, on Sunday afternoon. 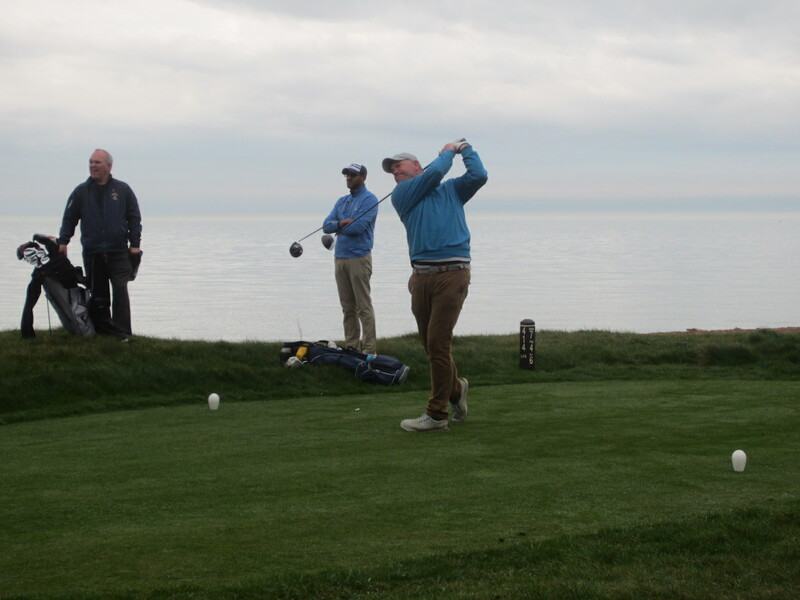 Middle order solid pair, brothers Sean P96 and Myles P99 Pearson, also a plus 3 handicapper, remained unbeaten throughout this year’s tournament and apart from playing some terrific golf they are rarely seen without smiles on their faces. Two past team skippers also played together in the middle order; Pete Forster N87 and Richard Hodgkinson M81 with a combined handicap of 3 the pair are always a force and Hodge declared after this years run that, for the first time in years, he felt very positive about Repton’s team for the future. The last pair, on which so much often rests, was Richard Holdsworth C92 and James Wilson L99. At first the pair they took a little time to find their feet together but on the last hole of in the quarter final they were magnificent. 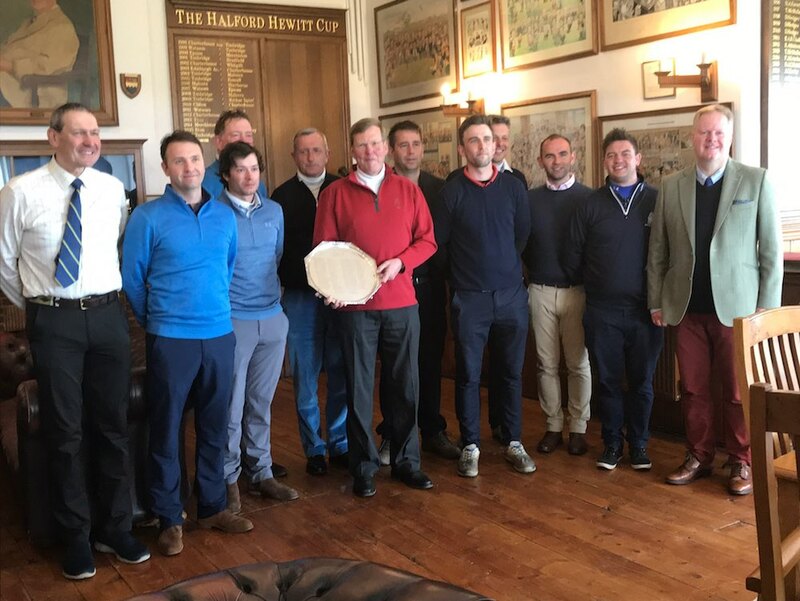 On Sunday lunchtime Repton’s disappointment was short lived as they celebrated a remarkable achievement by Keith Andrews O66 who became one of the Hewitt’s hall of fame members, having reached the milestone of having played 100 matches in the competition. In his acceptance speech Keith, a past Hewitt winner, who, at 65 is still playing beautiful golf, announced his retirement from the competition. 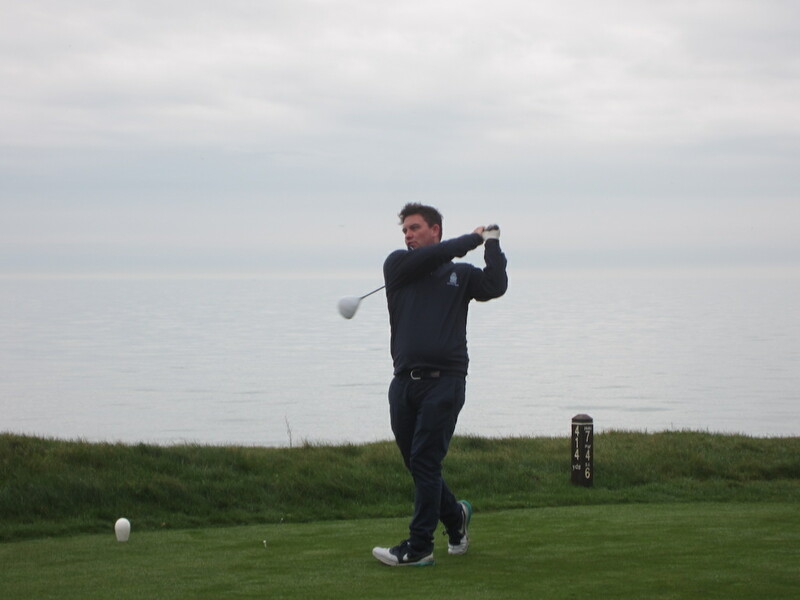 This will be a great disappointment to his playing partner Neal Rushton-King P94. The pair fit so well together one can only hope that either Keith decides against a pipe and slippers or we find another example of Myles Pearson or Cameron Shaw out there to play with Neal?